Schwalbe Hans Dampf/Nobby Nic: The Hans Dampf and Nobby Nic tires are wider versions of the tires that have tested well in our prior comparisons. The Hans Dampf in this test is also in the Trailstar compound which should yield better cornering traction than the Pacestar compound on our previously tested Hans Dampf front tires. Maxxis DHF/DHR: The Minion DHF has been a long time favorite of many riders both in the Pacific Northwest and elsewhere so we expected the DHF to be a strong contender in this comparison. The DHR has also built a strong reputation both as a rear tire and as a front tire when good braking is a desired quality. Specialized Butcher/Purgatory: Finally, the Butcher was of interest due to its similar tread design to the well-regarded DH-F and because it has also attracted a loyal following of riders. Paired with the Butcher is the Specialized Purgatory as Specialized’s rear tire offering for all mountain riding. Product testers included 2 riders recruited from the Seattle area via a Facebook posting and myself. Each of the test riders rode either a Turner RFX (160mm of travel) for the duration of the comparison test. Each rider rode the three tires combinations both uphill and downhill. Tires/wheels were switched to the next rider after an uphill/downhill loop so that test riders rode each of the tire combinations once. Location: Grand Ridge Trail in Issaquah, WA going southbound after the boardwalk. The climb/descent has a 200 foot vertical gain. Grade on the incline ranges from 6-16 percent. One-way distance is 0.75 miles (1.5 miles for the round trip). Trail Conditions: The weather was clear. The trail had not had significant precipitation for a week providing high traction conditions. The test riders experienced no problems with rear tire traction overall, but front tire traction was more important with a good number of higher-speed turns as the trail traverses across the fall line. Product Testers: Test riders were myself & 2 other riders that had signed on to be product testers with Dirt Merchant Bikes. All test riders were competent climbers & descenders with some faster on the uphills and some faster on the downhills. The number of climbs completed during the course of the comparison test were well within the stamina limits of the recruited testers. Wheel setup: Stans Flow EX rims (25 mm internal width) on DT350 hubs. Tires were run tubeless with 30 psi. 30 psi was the lowest pressure that I was comfortable running with rider weights varying within an 80 lb range. Testing Procedure: Each rider rode each of the 3 tire combinations up the course and then back down. Wheels/Tires were changed after each uphill/downhill round trip. • Quantitative Rating: Tire combinations were rated on multiple quantitative factors on a 1-5 scale with 5 being the best score, 3 being an average score and 1 being far below expectations. The average quantitative rating was calculated as an average of the 5 individual rider scores on each attribute. • Subjective Evaluation: Test riders added subjective comments to the Quantitative Ratings to provide deeper insight into the quant ratings. • 1st & 2nd most Preferred Tires: Each test rider indicated which tire would be their 1st and 2nd pick for front and for rear usage. I suggest reviewing the subjective comments in conjunction with the quantitative data for a general understanding of each tire’s strength/weaknesses. Please note the following caveats when interpreting the results from this comparison test. • This is not intended to be a scientific test: Though this test includes quantitative data, the numerical data is intended only to help interpret rider feedback. • Differences between tires in the quantitative results are not statistically significant: With only small sample of three riders rating each tire, differences in quantitative ratings should be interpreted as directional and not as statistically significant differences. • Projectability of results to other Trail conditions: This comparison test was conducted in the Seattle area in April 2016. Precipitation about 4 days before testing provided firm, high traction trail conditions. Perceptions of tire performance generated from this test are generally not projectable to dissimilar trail conditions in other geographic areas. Summary: Coming into this test, we expected high cornering traction from the Hans Dampf based on prior experience with the narrower, harder Pacestar compound version. Perhaps given the exceptional performance of the other tires tested, the Hans Dampf failed to provide as much confidence in cornering as we might have expected. The Hans Dampf communicated steering feel well but felt less solid at cornering limits than the other tires tested. Summary: The Butcher had decent cornering traction, but did not feel as sharp on turn-in as the DH-F or the Hans Dampf. The Butcher’s cornering traction was also somewhat difficult to access as the tire was limited in the amount of feedback that it provided on available cornering grip. Summary: The DH-F was clearly a notch above the other two tires tested in terms of both cornering grip as well as predictability at the limit. Good feedback about available traction made the DH-F easy to ride hard and confidence inspiring. Summary: The Purgatory was a decent tire overall, but failed to excel in either rolling resistance or traction among this group of high-achieving tires. Summary: The Nobby Nic had reasonable levels of climbing and cornering traction, but felt like the fastest rolling tire in the test. Summary: Though its performance was not dominant to the same degree that the DH-F was for the front tire comparison, the DH-R was the best in the test at balancing the traction with reasonable rolling resistance. All of the tires chosen for this test were known to be strong performers and this was supported by our testing experience on these tires. What this test is looking to convey is the relative strengths and weaknesses of the tested tires. Overall, the testers seemed to prefer tires that were able to best balance multiple performance characteristics. The fundamental performance attributes common to all of the more preferred tires were good cornering traction and predictable steering/handling for front tires and a balance of rolling resistance with good climbing traction for rear tires. In our Summer 2015 XC tire test (http://www.dirtmerchantbikes.com/special-events/2015/7/19/pacific-northwest-summer-2015-xc-tire-comparison-test), we had introduced the idea of Usable Rolling Resistance. 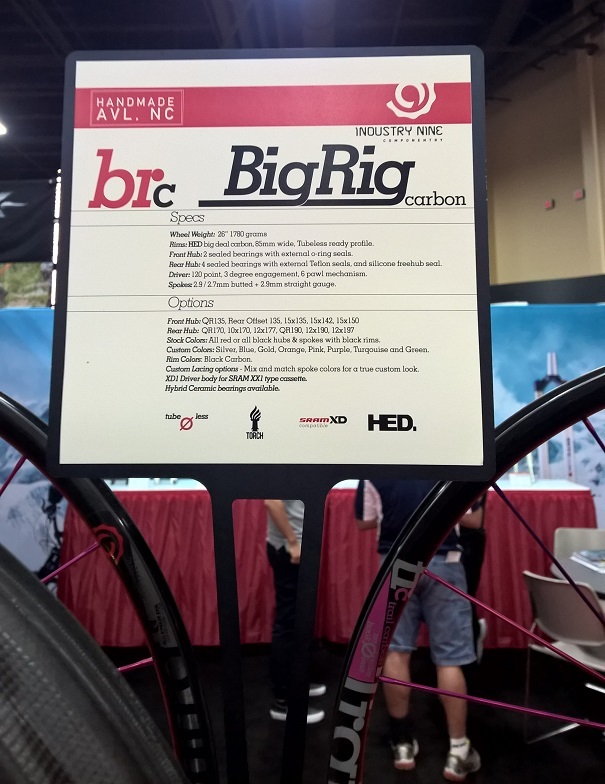 The idea was that the fastest XC/Race tires are those that combine low rolling resistance with sufficient climbing traction to not lose efficiency from tires spinning out on climbs. For front tires, there is perhaps a similar paradigm in which Usable Cornering Grip in which the perceived cornering ability of a tire is the result of both its absolute cornering traction limits and the level of feedback on traction limits that tire provides to help riders access more of its available traction. This concept of Usable Cornering Grip was reflected in the test riders’ tire preferences that favored tires that provided both high levels of cornering grip with the steering feel/handling to be able access more of this available grip. Steering feel and good feedback on how much traction is available was almost as important as absolute cornering grip. The DH-F was clearly the best front tire in the test providing high cornering grip with good steering feel and predictable handling at the limit. Unlike some other front tires with high levels of cornering traction that we’ve previously tested, the DH-F also provides a high degree of steering feel providing clear indications of when the tire is about to slide. Some other tires that we’ve previously tested have had high cornering traction, but were less communicative about the limits of that traction. It was surprising that the Butcher was the least preferred of the three front tires tested, as it was rated higher than the Hans Dampf on all four front tire rating factors. The best explanation that I can give for this result is that compared to the Butcher, the Hans Dampf has a more communicative steering feel which riders appreciated. The Butcher tended to have a softer initial turn-in feel and was a bit more disconnected feeling when approaching cornering limits. This hampered test riders’ ability to maximize the Butcher’s reasonably high cornering traction. The Hans Dampf provided a lively ride and cornering feel, but was let down by having lower overall cornering traction than the Butcher or the DH-F. The Hans Dampf certainly is an entertaining tire to ride when compared in isolation, but the DH-F provides only slightly less steering response with a more solid cornering feel. The performance of the rear tires compared in this test was closer than the results for the front tire comparison. Of the three tires tested, the Purgatory was perhaps the weakest with the highest perceived rolling resistance, lower cornering traction limits, and less communication from the tread about available traction. The Nobby Nic provided reasonable levels of climbing and cornering traction, but excelled in rolling resistance and handling feel. Having a Nobby Nic as rear tire provides an enjoyably lively and fast rolling feel that seems to be characteristic of Schwalbe tires (with the exception of the Magic Mary and other more DH-oriented tires). The DH-R had the best balance of traction and rolling resistance. Even with an aggressive tread design, the DH-R rolled surprisingly well. On balance, the testers all picked the DH-R as their number one choice for rear tire. Schwalbe: Consistently, Schwalbe tires used in our tests have been the easiest to set up tubeless on the Stans Arch EX rims with 15 of the 17 Schwalbe tires we have mounted in our three comparison tests seating with only a floor pump and no additional manipulation beyond just mounting the tire and airing it up. About 2/3 of the Schwalbe tires held air even without sealant and all tires held air after doing a shake and distribution of sealant. Continental: Of the 6 Continental tires that we have mounted, only 1 of the 6 seated easily with a floor pump, 4 required additional manipulation to seat and I gave up on seating one by hand (and went to the gas station to use their air compressor). All of the Continental tires lost air pressure over time until I did a second shake and distribution of sealant to seal the bead interface. Maxxis: 5 of the 6 Maxxis tires that we have tested seated easily with a floor pump and 1 required some additional manipulation to seat with a floor pump. 3 of the 4 tires held air after doing a shake and distribution of sealant and the remaining tire also held air after a second shake and distribution of sealant. Specialized: 2 of the 2 Specialized tires that we have tested seated easily with a floor pump. Both of the tires held air after doing a shake and distribution of sealant. Also, kudos to Specialized for the bead design on their 2Bliss tubeless ready tires. The two Specialized tires tested with the 2Bliss design have butyl rubber coated tire beads which promotes a more airtight seal between tire and rim after tires are mounted onto a rim but before seating of the tire beads. Seating a tubeless tire with a hand pump requires the tires to have a sufficiently airtight seal with a rim to be able to use air pressure to seat the tire bead. The butyl rubber coating the 2Bliss tire beads helps create this level of seal between tire and rim. Please feel free to reach out to Dirt Merchant Bikes by e-mail at jeff@dirtmerchantbikes.com with your preferences for tires to test. Based on the results of our two recent tire comparison tests, Dirt Merchant Bikes will be carrying the Schwalbe Rocket Ron tires in addition to the Nobby Nic, Hans Dampf and Magic Mary in all wheel sizes and widths for the summer riding season. We will also carry Maxxis DH-F/DH-R, High Roller II, and Ardent tires as a value priced option. Typically, we will have the Pacestar (normal) and Trailstar (soft) compounds with Snakeskin/TL-Easy casing in stock with VertStar (softest compound) available to ship in 2 days. Ryde comes from the Netherlands and has been in business since 1908. They are seeking to enter the North American market.with their line of rims. Our Winter tire comparison test sessions conducted last November & January established the Schwalbe Hans Dampf and Schwalbe Nobby Nic (2015 version) as our front and rear tire benchmarks for Pacific Nwet winter conditions. In this latest tire comparison test conducted on June 19th, 2015,, we tested the Hans Dampf/Nobby Nic combo and four additional XC-oriented tires in Seattle area dry, summer conditions. Product tester included 4 riders recruited from the Seattle area via a Facebook posting and myself. Each of the test riders rode either a Turner Burner (140mm rear travel) or a Turner Flux (120mm rear travel) for the duration of the comparison test. Each rider rode the five tires combinations both uphill and downhill. Tires/wheels were switched to the next rider after an uphill/downhill loop so that test riders rode each of the tire combinations once. [New for Summer 2015] In addition to quantitative and subjective ratings, we collected and analyzed uphill, downhill and combined lap times for the first time in this edition of the test. Are XC-oriented dry condition tires faster overall in Pacific Northwest loose over hardpack summer trail conditions than the more aggressive Hans Dampf/Nobby Nic established as our winter benchmark combination in our Winter 2015 tire comparison tests? The hypothesis before testing was that the more aggressive Hans Dampf/Nobby NIc combination would be faster overall than the XC-oriented tires (X-King, Ardent, Neo-Moto, Rocket Ron,) on an out-and-back course with an climb going out and a descent on the return leg with few flat sections. Basis for this hypothesis was the prediction that rolling resistance would not be much of a factor on the climb while the more aggressive tires would be faster on the downhill. Specifically, we had found the Nobby Nic to roll fairly well in our winter testing so this test is comparing a reasonably fast Nobby Nic tires with even faster rolling tires. Keep reading for the full details. Or, skip to the end to see if we validated or rejected this hypothesis! Trail Conditions: The weather was clear. Trails had not had significant precipitation for at least a month with slightly loose over hardpack trail conditions. There had been heavy rain ending two days before the day of the comparison test. The test riders experienced no problems with rear tire traction overall, but front tire traction was more important with a good number of higher-speed turns as the trail traverses across the fall line. Product Testers: Test riders were myself & 4 other riders that had signed on to be product testers with Dirt Merchant Bikes were participants in this comparison test. All test riders were competent climbers & descenders with some faster on the uphills and some faster on the downhills. The number of climbs completed during the course of the comparison test were well within the stamina limits of the recruited testers. Wheel setup: Stans Arch rims (21mm internal width) on DT350 hubs. Tires were run tubeless with 30 psi. 30 psi was the lowest pressure that I was comfortable running with rider weights varying within an 80 lb range. Testing Procedure: Each rider rode each of the 5 tire combinations up the course and then back down. Wheels/Tires were changed after each uphill/downhill round trip. 2. Quantitative Rating: Tire combinations were rated on multiple quantitative factors on a 1-5 scale with 5 being the best score, 3 being an average score and 1 being far below expectations. The average quantitative rating was calculated as an average of the 5 individual rider scores on each attribute. 3. Subjective Evaluation: Test riders added subjective comments to the Quantitative Ratings to provide deeper insight into the quant ratings. 4. 1st & 2nd most Preferred Tires: Each test rider indicated which tire were their 1st and 2nd pick for front and for rear usage. This is not intended to be a scientific test: Though this test includes quantitative data, the numerical data is intended only to help interpret rider feedback. Differences between tires in the quantitative results are not statistically significant: With only small sample of five riders rating each tire, differences in quantitative ratings should be interpreted as directional and not as statistically significant differences. Projectability of results to other Trail conditions: This comparison test was conducted in typical Seattle area dry summer trail conditions. These conditions include some loose dirt over hardpack trails. Perceptions of tire performance generated from this test are generally not projectable to dissimilar trail conditions in other geographic areas. 1. Differences between the average lap times recorded for the tires are not statistically significant: With only one lap time for each of the five riders for each tire, differences in lap times should be interpreted as directional and not as statistically significant differences. 2. Definition of Standard Deviation: The standard deviation is a measure of how spread out the numbers in a data set are. A smaller standard deviation means the data is more closely clustered around the average of the data set, while a larger standard deviation means the data is more spread out. The opposite of a forgiving tire will be one that tends to break away quickly and without warning. Forgiving tires will tend to both have reasonably high traction limits and lose traction predictably thus allowing riders to more confidently explore their traction limits. The reason why I think the standard deviation is a measure of how forgiving or, put in another way, how accessible a tire’s performance limits are is because I believe a more forgiving tire should result in less variance in lap times. Tires that break away more unpredictably might be expected to have larger and more variable time differences between “good” runs and “bad” runs. Summary: The X-King had a precise steering feel but tended to break away somewhat abruptly at the limit. Summary: The Ardent was a solid tire, but didn’t particularly stand out in this test of strong contenders. Summary: The Neo-moto held its own versus the other XC-oriented tires in cornering grip and braking, but didn’t quite match up with some of the newer tread patterns in the areas of steering feel and braking. Summary: Despite its fast rolling tread, the Rocket Ron was surprisingly competent both uphill and downhill. On average, it was just slightly slower than the X-king going uphill and faster than all other tires tested going downhill. Its steering response was fairly quick and lots of feedback about available cornering grip allowed riders to easily make the most of its reasonably high traction levels. Summary: The X-King was perhaps the fastest rolling tire in the test, but was unable to fully exploit this on climbs due to a tendency to break free under power or on less grippy surfaces. The X-King also had a sharp handling feel but tended to have a breakaway point that was less predictable than the Rocket Ron. Summary: As with its results as a front tire, the Ardent posted solid though not exceptional performance. Summary: While the Nobby Nic was no slouch when it came to rolling resistance, it was slower rolling than the XC-oriented tires that were tested. Coming into this test, the Hans Dampf/Nobby Nic combo was expected to be slower uphill and faster downhill than its faster rolling competitors. Defying both preconceptions, the Hans Dampf/Nobby NIc combo was almost as fast as its fastest XC competitors going uphill, but slower downhill than all other tires tested except the Neo-moto. Summary: The Rocket Ron had a good balance of skills with no apparent weaknesses. None of the tires tested are a poor choice for the dry loose over hardpack conditions of our test. Every tire tested received at least one 1st or 2nd place vote. The Rocket Ron received the most 1st place votes likely due to its balance of strengths. The fundamental performance attributes common to all of the more preferred tires were good cornering traction and predictable steering/handling for front tires and a balance of rolling resistance with good climbing traction for rear tires. The factors that came out as the key drivers of preference differentiating the most preferred front tires was their steering feel/handling and predictability balanced with adequate cornering grip. Absolute cornering grip did not seem to matter as much as steering feel and good feedback on how much traction is available. For the rear tire, the factor that was most important to testers was “usable” rolling resistance which I will define. “Usable” rolling resistance was a balance of good rolling resistance with sufficient climbing traction. A good example of how this factor came into play was the climbing performance of the X-King. The X-King was perceived overall as the fastest rolling rear tire, but had a tendency to lose climbing traction on rocks and loose dirt even on the moderate grades of the trails used in this comparison test. The Rocket Ron, in contrast, rolled almost as quickly as the X-King but had unshakeable climbing traction on par with the more aggressive and slower rolling Nobby Nic. Though the X-King was clearly the faster rolling tire, the Rocket Ron’s split times for the uphill segment were only slightly slower than the X-King (and statistically equivalent as the difference was within the statistical margin of error). Among the rear tires in the test, the Rocket Ron was best at balancing rolling resistance with climbing traction and cornering grip. The X-King was fastest rolling with sharp handling, but tended to be less predictable in its climbing and cornering traction. The Nobby Nic was best in cornering grip, handling and braking but lost out on rolling resistance to its faster XC-oriented competitors though we found that slightly higher rolling resistance is balanced out by more predictable climbing traction. The Neo-Moto had no outstanding weaknesses, but was just not as fast or as grippy as the newer XC tire designs tested. The Ardent felt solid and rolled decently well, but was unexpectedly weak in braking. Schwalbe: Consistently, Schwalbe tires used in our tests have been the easiest to set up tubeless on the Stans Arch EX rims with 13 of the 15 Schwalbe tires we have mounted in our three comparison tests seating with only a floor pump and no additional manipulation beyond just mounting the tire and airing it up. About 2/3 of the Schwalbe tires held air even without sealant and all tires held air after doing a shake and distribution of sealant. Maxxis: 3 of the 4 Maxxis tires seated easily with a floor pump and 1 required some additional manipulation to seat with a floor pump. 3 of the 4 tires held air after doing a shake and distribution of sealant and the remaining tire also held air after a second shake and distribution of sealant. There have been online reports of faster tread wear on the Schwalbe tires, but we have not seen faster tread wear or undercutting of tread blocks in the eight months that we’ve had Schwalbe tires on our demo bike fleet. The more organic nature of our trails compared to more rocky trails elsewhere may be mitigating any tendencies that Schwalbe tires have for faster wear. For sure, much of the Schwalbe’s performance advantage over the other tires that we tested and their predictable handling do come from the softer rubber compounds and side knobs that extend beyond the casing. Consider this as similar to high performance tires for sports cars which also wear faster than typical passenger car tire, but offer better traction and response due to their soft rubber compounds. Schwalbe tires may not be the cost-efficient tire on the market, but we believe after our testing with multiple testers with different riding styles that Schwalbe offer some of the best riding tires available. Our next round of testing will happen again in November 2015 and we will focus again on more aggressive tires for wet trail conditions. We are considering the following tires for testing though any new tires introduced this fall will also be added to the consideration list. Benchmark: Hans Dampf Trailstar 2.25 (front)/Nobby Nic Pacestar 2.25 (rear) – This combination balances the traction of the Hans Dampf as a front tire with a faster rolling Nobby Nic as the rear tire. We will switch to the Trailstar version of the Hans Dampf as the front tire. Michelin Wild Grip’R Gum-X (standard compound) 2.25 on front/rear or Wild Rock’R Magi-X (soft compound) on the front. Continental Trail King 2.4 Protection(front)/Mountain King Protection 2.4 (rear) – The 2.2 version of the Trail King didn’t so well in our Winter 2015 testing, but some of you noted that the 2.4 version has better traction. The 2.2 Mountain King did well in testing last winter, but was a bit too narrow. If you have any questions/comments about this tire comparison test or questions about tires, please e-mail us at jeff@dirtmerchantbikes.com. To start off, the survey results were tested for statistical significance. Statistically significance indicates that a gap between two data points is likely to reflect that a real difference exist in feedback between two different subgroups of study participants rather than that difference having occurred by chance. Increasing the sample sizes of participants reduces the amount of variability in survey data and can thus show statistically significantly differences with smaller gaps between two data points. The chart shows how to read the results of significance testing as shown in the following charts. Riders in WA may be using smaller wheels due to the rough and tight singletrack trails prevalent in Western WA, as compared to the long fireroad climbs more typical in other parts of the country such as in California and Colorado. Among tire brands outside WA, Specialized and WTB are maintaining share while Schwalbe, Maxxis and Continental are increasing their share of the market. Kenda and Panaracer are former market leaders but currently have weaker market share compared to competitors. In Washington state, Maxxis has been a market leader and continues to hold a strong share of the market. Part of this is likely due to Maxxis' reputation for making good downhill tires and the propensity of riders in Washington to choose more aggressive tires. Schwalbe has also made strong gains among riders in Washington. Kenda, WTB were former market leaders but have since lost ground. Dirt Merchant Bikes has recently started our series of tire comparison tests for our Pacific Northwest winter conditions. One insight that I had from the tests is that Usable Traction (which I will define shortly) is more important than the amount of Absolute Traction that a tire has. I am defining Usable Traction as the amount of traction that is accessible to riders of average skill levels based on how well riders are able to anticipate a tire's traction limits. One of the tires in the first test has a strong reputation for being a good cornering tire. However, another tire with perhaps slight lower absolute cornering traction was unaminously preferred by testers for cornering ability. The key factor driving this perception was how well this tire communicated the limits of its cornering traction and the amount of available traction. For most riders, I think that how precisely a tire communicates when it is going to break away may be more important than its absolute traction limits. Your thoughts? 1. Hans Dampf 2.25 (front)/Nobby Nic 2.25 (rear) – This combination balances the traction of the Hans Dampf as a front tire with a faster rolling Nobby Nic as the rear tire. 2. Magic Mary 2.35 (front)/Hans Dampf 2.25(rear) – The Magic Mary is the highest traction tire in the Schwalbe lineup short of a full-on downhill tire. 4. Continental Trail King 2.2 Protection Apex - front & rear – The Trail King is similar in concept to the Hans Dampf. 5. Continental Mountain King II 2.2 Protection - front & rear: The Mountain King is similar in concept to the Nobby Nic. The Breakout is new for 2015 and comes in both 2.3 and 2.5 widths. It was designed as an aggressive all mountain/enduro tire for dry to wet conditions. It might be a good alternative to Minion DH-Rs, and Trail Kings for the Pacific Northwest. Look for an upcoming on-trail review from us! The Breakout comes in 2.3 and 2.5 widths.